As museums become almost archaic, art must find a new way to touch and inspire humanity, as it has since cavemen etched out drawings many millennia ago. 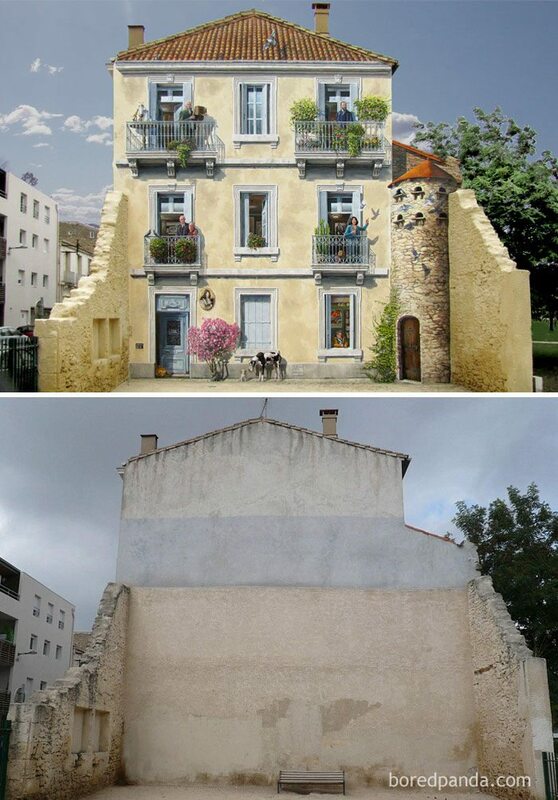 And although most of us think of anything painted on a building wall as “graffiti,” some new global trends are showing that outdoor art can range from touching to inspiring to amazing. 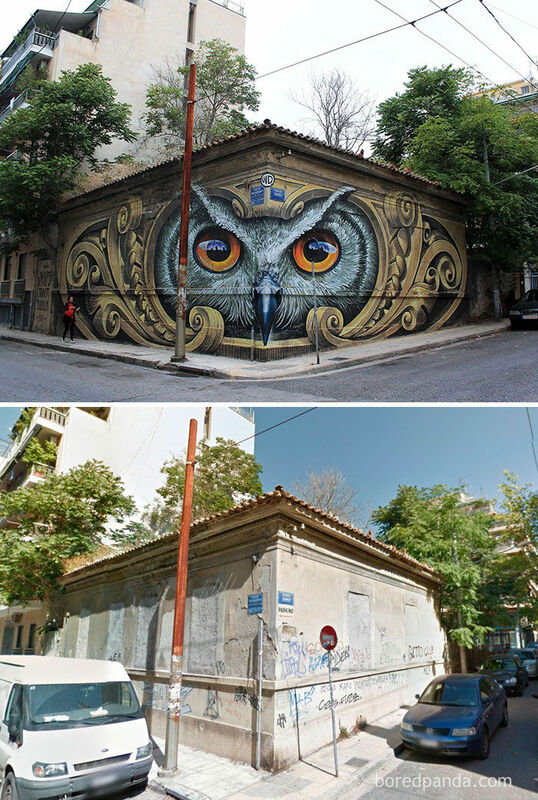 Take, for example, a drab, shuttered building corner in Athens, Greece that becomes a colorful, all-knowing owl. 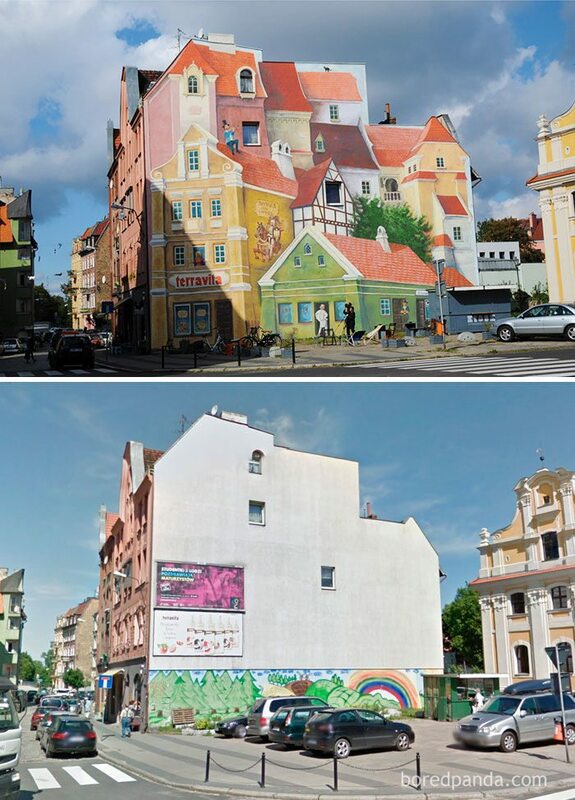 In France, decimated bare building walls turn into colorful trompe l’oeil (“fool the eye”) scenes of neighbors waving from their balconies.In Poznan, Poland, a one-dimensional blank outdoor wall turns into a faux multi-dimensional colorful cascade of buildings and rooftops. With artists who are clearly bursting with imagination and talent all around the world, the possibilities seem endless. 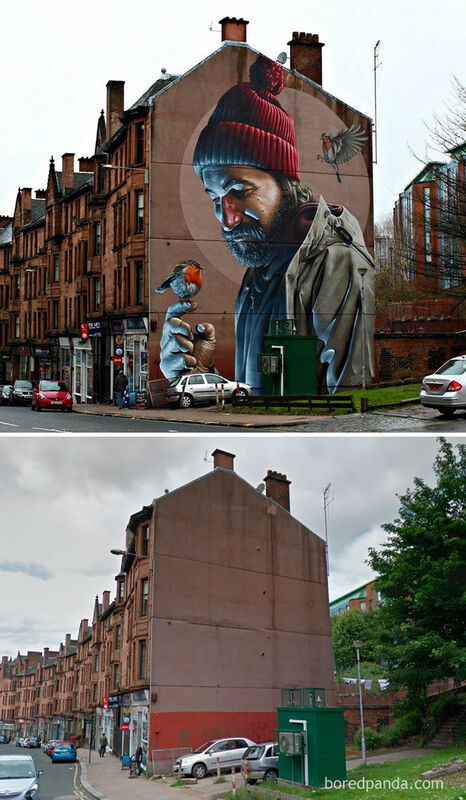 In Glasgow, Scotland, a boring brown building wall is transformed, as a larger-than-life painting of a man in a red knit cap smiling down at a small sparrow while another flutters behind him takes over. It’s impossible to look at this and not feel happy. 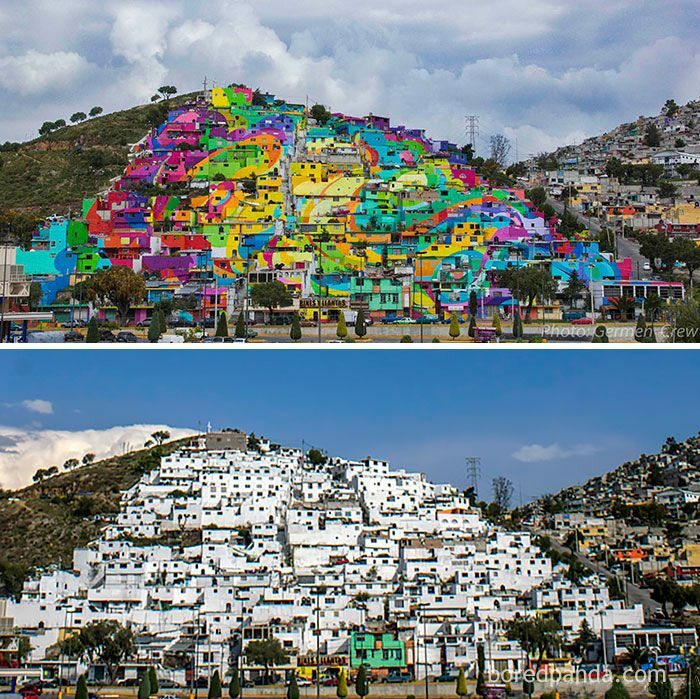 And in Palmitas, Mexico, a small village on a hill made up of entirely white stucco homes becomes a burst of rainbow bright colors, when the whole hill is repainted in delightful hues. Then in San Francisco, hundreds of boring gray steps become a beautifully tiled visual smorgasbord. When the people no longer go to museums: “bring the art to the people” seems to be the message. And it’s one we love to hear.